Introducing and explaining some of the most poignant Japanese words, Ikigai is a lifestyle as well as a language book. From the wistful poetry of mono-no-aware, a word that asks us to recognize the bittersweet transience of all things, to the quiet harmony of wa, which knits together all of society’s structures, this book is an introduction to the intricacies and value of Japanese phrases and concepts. It hopes to inspire you to incorporate these words into your own lifestyle and adopt a more mindful attitude to life’s stresses, seeking meaning beyond materialism. 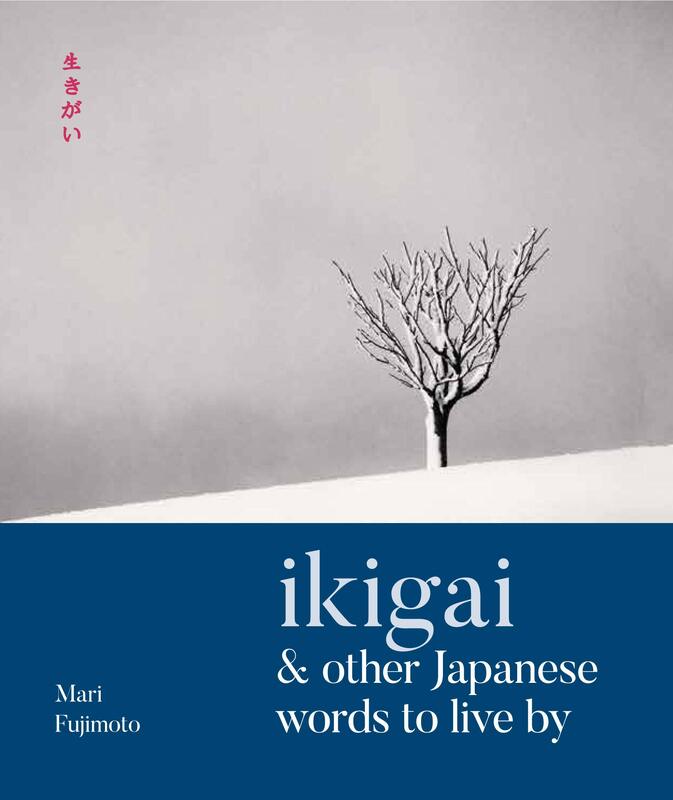 In addition to over 40 ‘words to live by’, Ikigai features musings on the place of beauty, community, time and nature in Japanese thought, teaching mindfulness by way of compelling haikus, and illustrated by Michael Kenna’s reflective photography throughout. Mari Fujimoto is the Director of Japanese Studies at Queens College, New York and teaches all levels of Japanese language and linguistics. She believes that language learning is the first step towards the understanding of a culture. David Buchler is a South African artist who lives and works in Tokyo. A photographer, illustrator and writer, his art takes inspiration from Japanese culture.